Royal Caribbean has selected Harry McNulty as its next world explorer meets social media champion. McNulty was named by Royal Caribbean UK as the winner of its Shore Explorer contest. The Shore Explorer's job is to discover fun and incredible experiences around the world that will ultimately influence the brand’s shore excursion offerings. A HUGE congratulations once again to our Shore Explorer winner, Harry McNulty! Here’s his jaw-dropping winning entry: https://t.co/gzZiRxNHya Make sure to check out & follow his Instagram page to see his incredible content where he’ll be posting content from his epic adventures! Harry will visit places such as Japan, Alaska, Europe and the Middle East, and Perfect Day at CocoCay, opening next month. Harry is 26 years old and from Dublin, Ireland. He was one of 37,000 UK and Irish applicants for Royal Caribbean Cruise Line’s shore explorer position. Royal Caribbean opened the contest up earlier this year, and apprenticeship applicants were required to post an image, video or story on Instagram that showed an ability to capture a moment and tell a story. 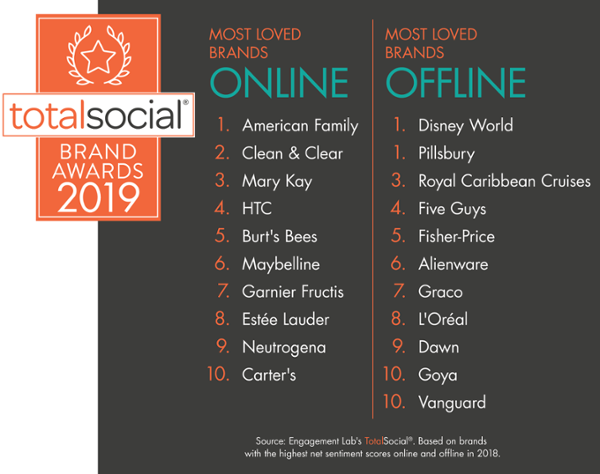 Royal Caribbean made the list of the top ten Most Loved Brand Offline, according to Engagement Labs' second annual TotalSocial Brand Awards series. Engagement Labs looked at more than 500 US consumer brands in a variety of industry sectors and ranked the most loved brands based on net positive conversations happening online (via social media) and offline (via face-to-face conversations). The awards are based on the Company's proprietary TotalSocial data and analytics platform, which continuously measures the online and offline social metrics that are proven drivers of business performance. These metrics, including both online and offline conversations against the following major conversation dimensions: net sentiment (the difference in the percent positive conversations minus negative), brand sharing (the extent to which people are sharing or talking about a brand's marketing or advertising), volume (a measure of how many conversations mention a brand) and influence (the extent to which an influential audience is talking about a brand). At the third position, the Royal Caribbean Cruises invested $120 million in revitalizing their ships cater to millennials and improve the customer base experience. The most loved brands offline are those which are spoken about positively during face-to-face conversations. Royal Caribbean is looking for British or Irish citizens to become a Shore Explorer Apprentice and explore the world from a Royal Caribbean cruise and get paid a six figure salary for the work! Royal Caribbean is looking for a new employee to sail round the globe, documenting their experiences on social media. APPLICATIONS NOW OPEN for the Royal Caribbean #ShoreExplorer Apprentice-ship! 🚨 . Think you’ve got what it takes to be the ultimate experience hunter? 🗺📌 . Share your best travel experience as a post, story or IGTV tagging @RoyalCaribbeanUK and #ShoreExplorer to apply! . T&Cs apply. The role is open to British and Irish citizens aged 21 and over, and to apply you simply need to post an "extraordinary travel story, video, or image" on Instagram via Instagram stories, IGTV, or an Instagram post tagging @RoyalCaribbeanUK and #ShoreExplorer before the end of the day on March 1 2019. The 20 Finalists will be announced on March 15, 2019 on the website and Instagram, and the overall winner will be informed by the Promoter via Instagram message by April 5, 2019 or as soon as practicable thereafter if a review is required. Today is the day!! @royalcaribbeanuk have just opened applications for an epic new role: the #ShoreExplorer Apprentice-ship programme. It's a search similar to the internship which ran two years ago and completely changed my life, taking me on some incredible adventures! The successful candidate will have the opportunity to seek out & test extraordinary shore experiences in the most jaw-dropping destinations across the globe - including Alaska, Japan, Dubai and the Caribbean - while getting paid equivalent to a 6 figure yearly salary. I am also happy to announce that I will be one of the judges and one lucky candidate will be accompanied by myself on part of their extraordinary journey around the world. Head over to the @royalcaribbeanuk page or search #ShoreExplorer for all the details on how to enter. Good luck! T&Cs apply. Visit @royalcaribbeanuk for more info. 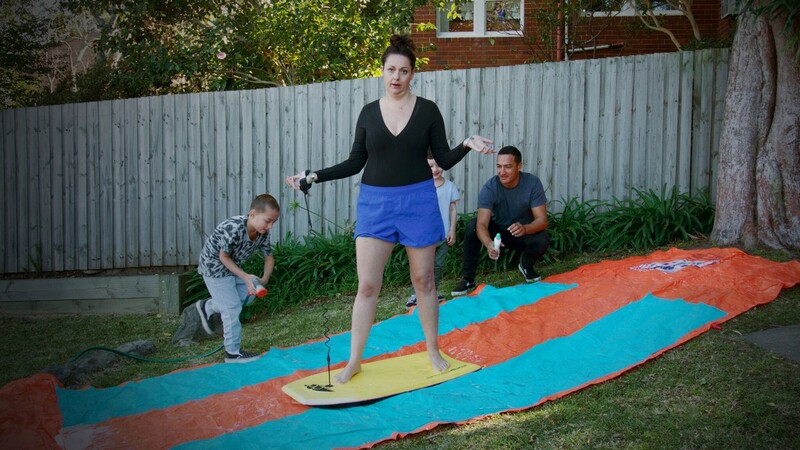 Australian comedian Celeste Barber accepted a thrill-seeking challenge by Royal Caribbean to complete as many as possible onboard Royal experiences in one day. The clincher is, Celeste is on dry land. Royal Caribbean Australia has partnered with the Instagram star to show how fun the activities are onboard a Royal Caribbean cruise. “How could I resist this challenge? On a Royal Caribbean cruise you have so many great activities all in close proximity. I was totally up for the challenge of attempting to do all the awesome things you can do on a Royal Caribbean cruise but doing them all in one day on dry land. Bring it on!” said Celeste Barber. Celeste attempts to replicate a variety of Royal Caribbean’s unique onboard activities including RipCord by iFLY, FlowRider, and a show-stopping stage show performance. The Bionic Bar, and Jamie’s Italian by Jamie Oliver also feature in the series. Celeste puts her own comical twist on the activities, and takes her family along for the crazy challenge. “I worked out pretty quickly that trying to do all these activities on land with my family was completely exhausting and was going to leave me broke so the idea of doing them all on a fancy cruise with a glass of wine nearby was far more appealing. Also, you had me at free kids club!” said Barber. Thrilling activities, game-changing technology, unparalleled entertainment, and vibrant dining options come together to create the ultimate, contemporary cruising experience – only found on Royal Caribbean. “My husband, kids and I all get excited by different things and activities on family holidays and on a Royal Caribbean cruise #hothusband can surf and skydive, my kids can run riot in the pools and games arcade while I can grab a cocktail from a robot mixologist (I know, what?! ), and watch a live show. Then we can all meet up and eat all the carbs at our favourite Jamie’s Italian. I can’t imagine any of us ever getting bored on a Royal Caribbean cruise!” said Barber. “As demonstrated by Celeste, endless experiences await guests onboard our ships, allowing travellers to holiday like never before. We’ve got you covered in terms of diversity, abundance and value. And the best part – as I’m sure Celeste would attest to – everything is conveniently located right at your fingertips,” said Susan Bonner, VP and Managing Director, Royal Caribbean Australia & NZ. During Royal Caribbean's first quarter 2018 financial call with investors, the company shared some interesting anecdotes, facts, and insight into the ever changing cruising environment. While most of the information discussed in these earnings calls deal primarily with financial indicators, cruise guests can glean some insight into how Royal Caribbean runs its business. Off the bat, Royal Caribbean's top brass was quick to point out that social media is crushing it in terms of raising the brand's awareness to consumers, assuaging myths about cruising and most importantly, driving demand. Royal Caribbean Cruises Ltd. (RCL) Chairman and CEO Richard Fain spoke about the impact of social media, "I attribute some of the recent healthy growth and demand to our success in the social media environment. Our social media teams really are doing an amazing job." RCL Chief Financial Officer Jason Liberty also talked about how social media has helped Royal Caribbean this quarter, "Levers, like social media and so forth, are really helping break through stereotypes on cruise and we have seen a real change in our new to cruise volumes. That is also suggesting that a lot of these past detractors are becoming fans of cruise." 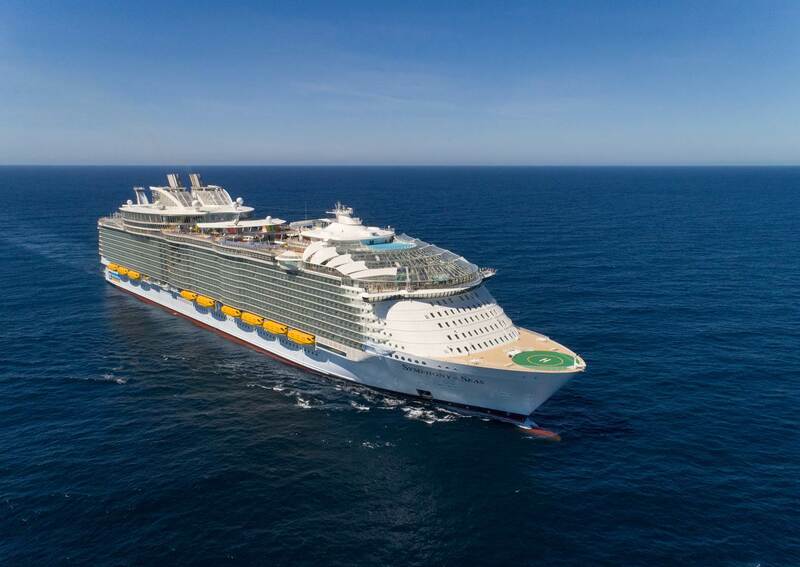 There is no question that Royal Caribbean is proud of the launch of its newest ship, but the executives were down right impressed by how well Symphony of the Seas is selling, especially considering she is the fourth sister ship in the class. Mr. Fain spoke about the public's reaction to Symphony of the Seas, "The public reaction to Symphony of the Seas was surprising even to us. Even though she is the fourth in the amazing Oasis Class series of ships, she has so many new amenities and attractions, that our guests and the media were simply blow away. Rarely has a sister ship received such press, and rarely has it been so deserving of it." Mr. Liberty expanded on the results Symphony of the Seas has brought to the cruise line, "Prices for Symphony have not only exceeded our lofty expectations, they have also been even better than we saw from Harmony last year." Royal Caribbean International CEO Michael Bayley shared an anecdote about Symphony of the Seas' early success, "The week after we introduced Symphony of the Seas, our bookings beat track by 50%. That is the week after we introduced the ship, so it's really performing well." A trend that Royal Caribbean has picked up on is the desire for short Caribbean getaway cruises. As a result, Royal Caribbean has invested heavily in Mariner of the Seas and the improvements coming to CocoCay. "We're seeing more and more people opting for shorter, but more frequent vacations. We are responding to that call by modernizing Mariner of the Seas, which is one of our Voyager Class ships, and we're raising our game in the short cruise market with this upgraded vessel, " Mr. Fain explained, "At the same time we also announced a major upgrade to our private destination in the Bahamas at CocoCay that we are calling, appropriately I might add, Perfect Day. Perfect Day in that destination will be another great addition to our Caribbean offering. It is really thrilling to see the work take shape, and I'm certain that this destination will get tongues wagging just as much as our new hardware has done." Michael Bayley also spoke about what Royal Caribbean is doing to meet customer demand, "We're very excited about Mariner as a product coming into the shorts market, and that's very much focused on new to cruise, and Millennial, and that really is the on ramp for that market. That ship is literally like having an Oasis Class ship in the short product market, because its capacity is just over 3200-3400 every three or four days." If you want to find the "secret sauce" to what is making the biggest difference in Royal Caribbean's quarterly growth, onboard revenue is a big factor. This means the things guests spend on their cruise above and beyond the cruise fare. Mr Liberty spoke about the growth the cruise line is seeing in this area, "The main driver of the positive earnings in yield was the continued strength in onboard revenue, which was up 6.3% for the quarter. This result is notable considering that it follows an 8.9% improvement from the first quarter of 2017." "Guest spend from onboard activities has continued to shift towards areas that involve experiences over buying things, and this quarter was no different. Beverage packages, specialty restaurants and internet were the main revenue streams driving the quarterly beat." Mr. Bailey also spoke about the onboard revenue growth that Royal Caribbean is seeing, "We've been really pleased with our pre-cruise sales, and we've seen a significant uplift year over year that's been increasing for the past couple of years and it's been a big driver of onboard spend. We kind of figure, for every dollar that we earn pre-cruise, we'll see somewhere between a 30 and a 50% uptick in the onboard spend." "And then of course over the years, we've invested quite heavily in new venues, new attractions onboard of our ships and many of those are revenue generating. We're beginning to see a lot of those now yielding superior revenue because of the kind of services they provide." Another area that we received an update on was Cuba and cruises there. A recent leadership change alongside strong demand for cruises to Cuba generated an update on where the cruise line stands with regard to this newly offered destination. Royal Caribbean Chief Operating Officer Adam Goldstein spoke about Cuba, "We've been commenting over time about the fact that the Cuban market has been a good market for us to enter. The customer satisfaction about Havana has been very, very high. But the reality is that there is still just one functioning pier that ships can go to on either side of the pier in Havana. There is going to have to be some type of considerable infrastructure improvement that takes place over the next several years, that will probably take time." "I think what we've been seeing lately is that the Cuban Government has gotten a little bit more efficient in maximizing the use of the pier on both sides, and our company has definitely been a beneficiary of that. We've been able to increase the number of sailings on a year over year basis, even though their capacity hasn't increased." "For what it is, it's been terrific, but in the overall sense of our portfolio, it is still fairly small. And we haven't seen any change whatsoever in their attitude towards us or their dealings with us, as it relates to their change in government to this point." Michael Bayley provided a look at how Royal Caribbean is leveraging digital marketing (as opposed to traditional marketing) to better reach customers. "We think that there's better targeting, and it's a more efficient channel. And certainly, with our social media presence, we believe that we've maneuvered ourselves into a really strong position in our space. In fact, we just recently conducted an independent survey of where we are positioned in terms of the social media universe, and we came out of it exceptionally well, in terms of how people view Royal Caribbean through that lens and how they are engaging with Royal Caribbean." "We are also seeing that with the response from onboard internet, and how people are using the accelerated internet to utilize social media to actually promote our brands, which has been really quite effective." Royal Caribbean declared its newest cruise ship, Symphony of the Seas, is the world's most Instagrammable cruise ship. To help guests make the most of these Insta-moments, Royal Caribbean has appointed Russ Francis as the company’s first ‘Instagrammer-in-Chief’ as Symphony takes her first guests on their holidays in the Mediterranean from Barcelona, Spain. Russ Francis’ Instagram skills were spotted by the company when he entered Royal Caribbean’s search for the first Instagram Intern-Ship at sea in 2017. His new role will be to help inspire guests to do the ship justice through their Instagram content and establish Symphony of the Seas as the world’s most Instagrammable ship. Russ has developed his guide to the ten most Insta-worthy moments that will help achieve the Insta-famous goal. Ultimate Abyss – The faces of those who have just survived the white-knuckle descents of the tallest slide at sea is not something you want to miss on camera… but can you capture the exhilaration just at the right moment for the perfect Insta shot? Central Park – Snap the lush greenery of over 12,000 tropical plants in this serene open-air neighbourhood. Packing this picture with as many beautiful and natural colours as possible will make it stand out on Instagram feeds. Ultimate Family Suite – For a shot at the most exclusive onboard content, make friends with the adventure seeking family staying in the Ultimate Family Suite! With 1,346 square foot filled with a plethora of features including an indoor slide, air hockey table and an eye-popping LEGO wall, you can take advantage of the mix of the bold colours and interesting shapes, making it the most brag-worthy content for Instagram. Vitality at Sea Spa – The tranquil spa is perfect for an ultra-smug Insta moment in between chilling out and being pampered. ‘Towel selfies’ are very in right now after all. Pool and Sports Zone – This part of the ship is teeming with action packed Instagram potential. Simply turn your camera towards one of the three colourful waterslides, two FlowRider ® surf simulators or nine-deck high zip line for adrenaline-fueled shots. Paradox Void– Discover an unusual and strangely captivating reflective art installation stretching high above you in the Royal Promenade. Made from 1,200 steel triangles, getting the lighting right here can work magic to the reflective surfaces, adding instant intrigue for your followers. AquaTheatre – Head to the aft of the ship to snap the dazzling amphitheatre-style theatre and experience stunning aquatic acrobatics and high-diving aerial performances. This will test your reflexes as you try to capture the live action against an unbeatable ocean backdrop. Royal Theatre – With unparalleled entertainment onboard there are umpteen content moments every evening, but for something really special just shimmy your way down to the Royal Theatre for a rendition of “Hairspray” to see if you can capture the excitement of live theatre in just one snap. Solarium Big Wonder (art installation) – A one-of-a-kind work of art comprised of thousands of dichroic acrylic elements is the first to be featured in the Solarium, spanning an area of 2,594 square feet and flooding the pool beneath with natural light. The poolside palm trees bathed in this contrast of light and shadow make it a must-capture shot for any serious Instagrammer. Hooked - Royal Caribbean’s first New England-style seafood restaurant will feature fresh seafood and a robust raw bar complete with oysters harvested to order. Located at the front of the ship in the adults-only Solarium, the casually sophisticated restaurant will offer expansive views of the open water – the perfect backdrop for a mouth-watering insta-shot. To celebrate Symphony of the Seas being the world’s most Instagrammable ship, Royal Caribbean is launching a competition for all onboard guests to post in their best Instagram shots of the extraordinary ship. Using the hashtag #SymphonyoftheSeas, Russ Francis, the new Instagrammer-in-Chief will judge the best posts. The Instagrammers of the best ship shots will win an onboard treat from a massage in the spa to a bottle of Champagne in their suite. Russ also shared some tips for anyone looking to use Instagram. Take photos in a square frame - Instagram images appear as a square, so take your Instagram snaps in a square frame. This way, all of your picture will appear in the upload, and you won’t need to crop or zoom to ensure everything fits in. Strong colours, shapes, lines and good lighting - To help your Instagram shot have the WOW factor; make sure it has strong colours and defined shapes and lines. If you’re struggling to make the lighting work and are flexible about timings then return to your shot at the ‘Golden Hour’, the hour before sunrise and the hour after sunset, to capture something really shareable. Use negative space - Negative space means the physical space that surrounds your image subject. Instagram photos that have the right mix of negative space and a tangible object can really stand out. Use gridlines to balance your shot – Improve snaps by taking the photo outside of the Instagram app and using your phone’s gridlines function. Apply the ‘rule of thirds’ and ensure that compositional elements are placed along the nine lines and their intersections of the grid. Pros claim that aligning a subject with these points creates more tension, energy and interest than simply centering the subject. Show some personality – Layering on words and stickers to an Instagram Story can add some fun and individuality to your extraordinary shots that usually encourages greater levels of engagement. Use a great caption - These days, it isn’t just about the picture or videos. Captions play a big role in how many likes you get and how people engage with your Instagram content. Use emotive descriptions and humour to connect with your followers. Royal Caribbean appears to be the most Instagrammable cruise line, according to a recent study that compared all cruise lines on the popular social media platform. 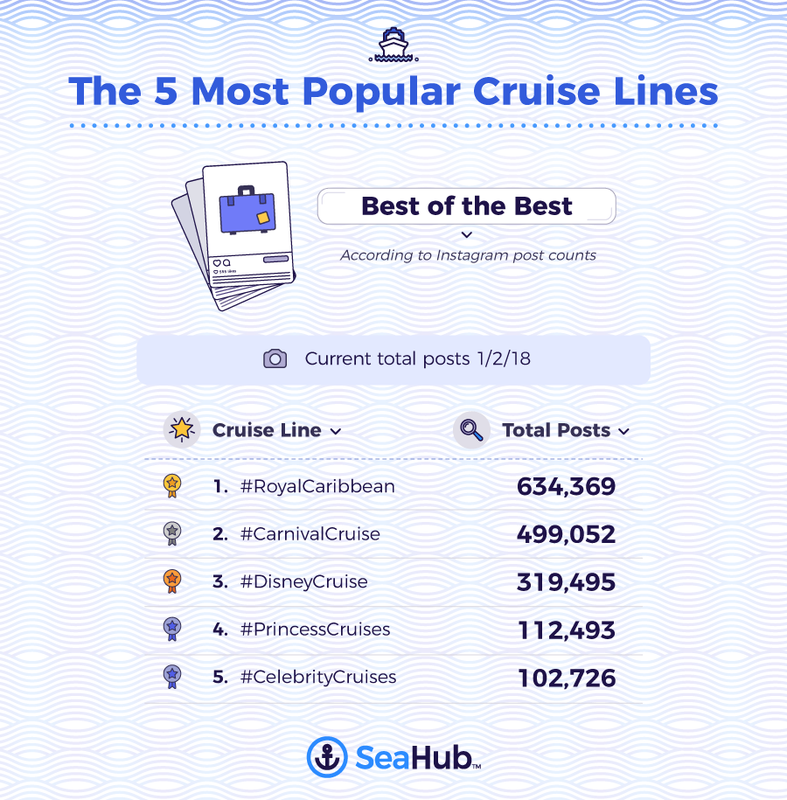 SeaHub found that among the over 1.8 million Instagram posts tagged on various cruise ships around the world, Royal Caribbean topped the list with over 634,000 posts. SeaHub also compared which ships in each cruise line were the most popular, with Royal Caribbean's Oasis class ships topping the list. If you were wondering, the lowest scoring Royal Caribbean ship on Instagram was Rhapsody of the Seas. To compile this study, SeaHub scraped Instagram for #cruise to obtain over 1.8 million posts. They grouped all posts by mentions of specific keywords or cruise lines. Rankings were determined by case frequency. Royal Caribbean presents the SeaSeeker mask. The SeaSeeker mask houses Snapchat Spectacles right out of the box. This first-of-its kind custom scuba mask is taking Snapchat to new depths, giving Seekers a new way to share their experience and inspiring them to #SeekDeeper. Royal Caribbean has been making headlines this week with its waterproof Snapchat spectacles that it invented for underwater exploration. It now appears the cruise line's ultimate goal is to allow guests to use them too. According to AdWeek, Royal Caribbean chief marketing officer Jim Berra indicated the goal is to receive a patent for the goggles and then equip ships with the goggles so guests can rent them by this fall. He said one purpose of the campaign is to remind people of the biological diversity of the Caribbean. "You can get off the beaten path and have these types of water-based adventures and then capture it in a really fun and unique way," Berra told AdWeek. Berra told PRWeek these goggles represent a first for Royal Caribbean, "This is the first time we’re applying for a patent," Berra said. "We’ve been very successful with the testing, and we think as Spectacles become more prevalent, we’re offering a way to use them that will be very appealing." In addition, the Snapchat Spectacles are interchangeable, which means guests can swap out their own pair and continue to use the glasses on land. This means increased exposure on social media. With the SeaSeekers dive mask, users can livestream photos and videos from depths of 150 feet. Currently Royal Caribbean made just 10 prototypes of the product. Royal Caribbean created the goggles for its #SeekDeeper campaign, where Snapchat users could follow along live as divers in the Caribbean explored underwater. Royal Caribbean is offering everyone experience an undersea adventure with a first-of-its-kind social media innovation. 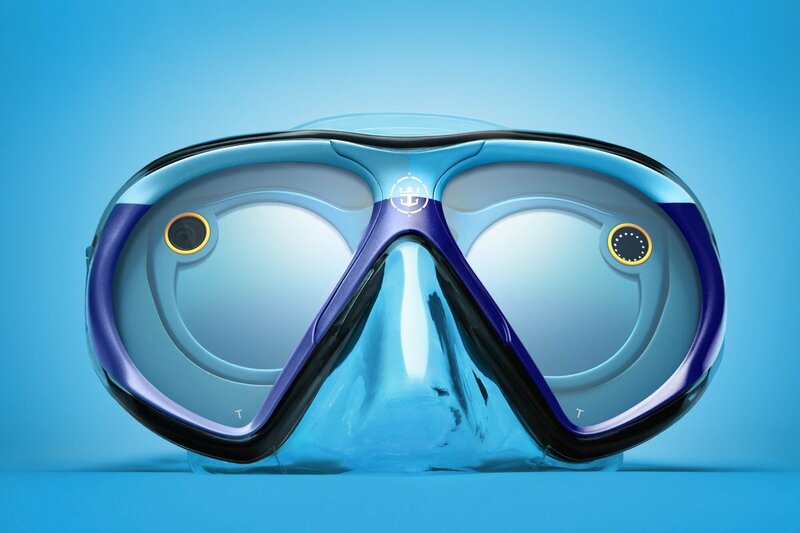 From June 21-25, Through the lens of Snapchat Spectacles, Royal Caribbean's Snapchat Channel will take viewers underwater, thanks to a custom-design scuba mask dubbed "SeaSeekers." The mask was custom engineered by the cruise line for use with Snapchat Spectacles. 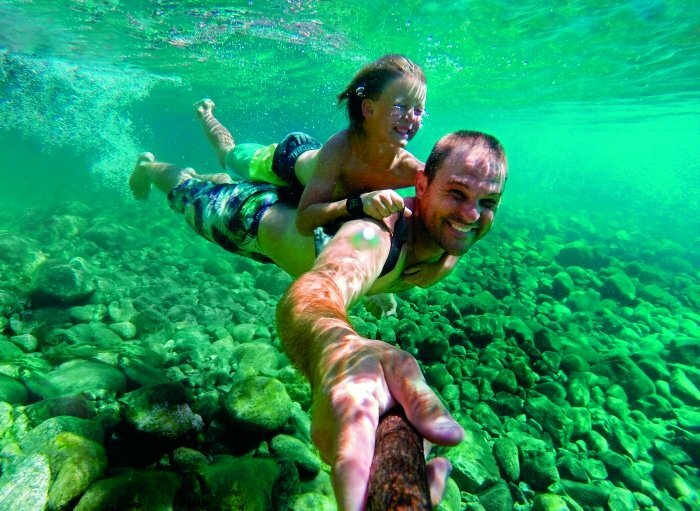 It allows the wearer to snap while underwater and will give those above the surface a unique perspective into the intriguing underwater world of marine life. Fans can #SeekDeeper by following @RoyalCaribbean on Snapchat. In Cozumel, Mexico marine wildlife photographer and conservationist Roberto Ochoa will give viewers a rare glimpse into the annual migration of Whale Sharks. Marine Biologist Gabriela Nava and co-founder of the organization Oceanus, A.C. based in Mexico, will then take viewers to see a coral reef restoration project where she and her team have been working to restore the local reefs. In Belize, fans can follow along as free diver Ashleigh Baird visits the Great Blue Hole, an underwater sinkhole that is believed to be the largest of its kind. "The SeaSeeker will enable all adventure-seekers to get a front-row seat to the thrilling adventures found underwater in a way that has never been possible before," said Jim Berra, chief marketing officer and SVP of Marketing, Royal Caribbean International. "Snapchat continues to be a favorite channel for curious travellers and is the ideal platform for this first-of-its-kind undersea exploration. We are excited to find an innovative way to use the Snapchat Spectacles with our SeaSeeker mask so that we can bring the underwater experience to our guests as they visit the incredible destinations we sail to. We’ve even taken the added step of applying for a patent for the SeaSeekers mask so that we can bring it to our guests exclusively." Fans can follow along on Royal Caribbean’s Snapchat channel or by searching on other social platforms by using #SeekDeeper.